First of all apologies for the lack of blogness last week…I was celebrating my 25th birthday so needless to say my brain stopped functioning halfway through the week. On to new celebrations though! If you didnt know, today is Star Wars Day (because its May 4th…may the force be with you…may the fourth be with you….get it? har har) so in honor of this I present a most awesome example in domestic geekery…. 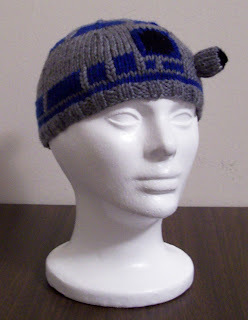 Well, I know for sure Im adding this to my ever growing queue of awesome geeky themed knits!